In 1883, Bradford 'stuff' dealer Joseph Riley bought a magic lantern for his two eldest sons Herbert and Willie (pictured left), and the three then gave shows for charity (the ‘National Home and Orphanage for Children’, a charity still operating today as ‘Action for Children’). Perceiving a business opportunity, Joseph formed the lantern-slide business in 1884 as part of his existing company ‘Riley Brothers’, that he ran with his brother Sam. It was not long afterwards that Joseph developed a business contact with Bamforths of Holmfirth, who already had a vast catalogue of slides. Riley Brothers grew rapidly and internationally, and was claimed to be ‘The largest Lantern Outfitters in the World’. Initially it was run by Herbert and Willie under the guidance of their father Joseph. Arnold joined the operation and became a partner in 1894, and in due course Bernard also joined the firm. In 1894 Herbert and his young family emigrated to New York, initially to deal with a financial crisis in their American operation. He remained there and managed the Riley brothers' US operation until his death in 1941. 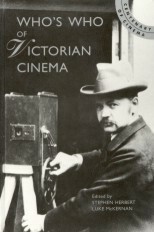 Willie later said that he went to Paris in December 1895 to see the Lumière Cinématographe (it was probably early 1896), and shortly afterwards the Rileys, enthused by living pictures, acquired the rights to Cecil Wray's 1896 Kineoptoscope projector. They distributed the machine and advertised it in The Era as 'Steady as Lumière's. No breakdowns. Most portable and the most perfect known'. There were two basic versions, one designed to fit into the slide stage of a standard magic lantern, ('an advantage possessed by no other aparatus'); the other, with its own lens unit, designed to fit in front of the lantern. In June 1897 the Rileys introduced their Kineoptoscope camera, again from the original designs of Cecil Wray, and basically an adapted projector mechanism. They also began to produce their own 75-foot films. The first may have been The Three Macs (May 1898) a comedy routine described as 'cigar business'. Four months later came a number of slapstick films including Wearie Willy in the Park; or, The Overfull Seat, The Nursemaid's Surprise, and later, others produced in conjunction with Bamforth of Holmfirth, who themselves made their first film in 1898 with a camera supplied by Riley Brothers. On 24 October 1898 Messrs Walker of Aberdeen gave a Royal Command cinema show at Balmoral Castle, Scotland, which included a number of Riley Brothers productions; Highland Dances, March Past of the Black Watch, and others made for the occasion. Because of the financial losses that had been made in the American operation it was now decided to separate the optical operation from the stuff business to protect the latter. That same year the Rileys were offering to sell or rent (a significant early example of this practice) films to purchasers of their projectors. 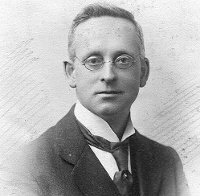 In November 1898 Willie became the managing director of the newly formed Riley Brothers Ltd. By the turn of the century the Riley catalogue listed 1,500 slide sets for sale or hire, a number of cinematographic films, as well as the equipment to show both films and slides. In 1902 Joseph Riley's stuff business unexpectedly went bankrupt. The lantern slide business, fortunately protected from the bankruptcy, continued, but eventually was wound up voluntarily in March 1914, and a new company was formed, Riley Brothers (1914) Ltd., which was run on a much reduced scale by Arnold and Bernard. Willie ceased to have an active role in the firm, and turned to writing, having already published his first novel, Windyridge, to great acclaim in 1912. As soon as war was declared, Bernard joined up (Arnold and Willie were too old) and was later wounded in action, and awarded the Military Cross. Arnold continued to run the business until his death in 1935. His widow Edith carried on with the operation, which by now was a small arts and craft shop. Willie became an internationally known and very popular author, mainly of novels that were mostly set in the Yorkshire Dales. He wrote a total of thirty-nine books, thirty of them novels. He was also a popular lecturer, and a Methodist local preacher for seventy-five years.